The snowy peaks of the rugged mountains stood out in bold relief against the black sky of the Alpine night. Even though it was summer, the cold wind whipped through the valley of the Dora River, and the tumbling cascade of water could be heard as it sped its way down the mountain gorge. But in the summer of 1689, the darkness had never been blacker. 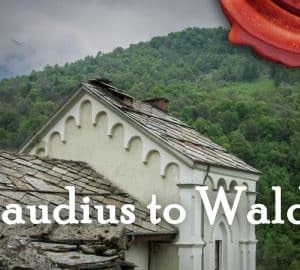 The valleys of the Waldenses lay in smoking ruins. The worst persecution in recorded Waldense history had been launched upon them by the Duke of Savoy. Ever since 1655, their native valleys had been in the hands of the enemy. In that terrifying year, bands of brigands had been unleashed by the Savoyards upon the Waldenses. Roman Catholic Irishmen had been imported to kill and loot in the Waldense valleys. On pain of death, they had been ordered to abjure their faith and return to the Roman church. Churches had been razed to the ground or else filled with idolatrous images. Waldense pastors had been tortured to death by horrid mutilations. Nursing infants had been torn from their mothers arms and tossed into deep gorges. Wives and daughters had been savagely assaulted by brutal invaders. Though these events stand recorded, the modest pen refused to recount the awful details of these barbarities. 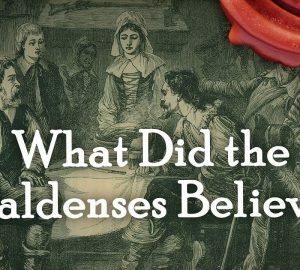 After several years of the most intense persecution, the Waldenses were forced out of their native valleys. They took refuge in the cantons of Protestant Switzerland. In cities like Lucerne and Geneva, these homeless pilgrims found refuge. They had lost all because they would not deny or forsake the truth. Thirty long years of exile crawled slowly by. The Duke of Savoy invited loyal Romanists into his domain to repopulate the valleys. Irishmen from the British Isles and Italians from crowded cities to the south flocked in to inherit the well-ordered Waldense farms. Waldense churches had been reoccupied and decorated with candles, images, and altars for the mass. Remember thy congregation, which thou hast purchased of old; the rod of thine inheritance, which thou hast redeemed; this mount Zion, wherein thou hast dwelt. Lift up thy feet unto the perpetual desolations; even all that the enemy hath done wickedly in the sanctuary. Thine enemies roar in the midst of thy congregations; they set up their ensigns for signs. These eight hundred mighty men, encamped tonight in the gorge of the Dora, had come back to their native valleys to reclaim them for Christ. Leaving their wives and children in the care of friends in Switzerland, eight hundred mighty men had set out to reconquer their valleys. The march had led them over narrow mountain trails, across dangerous precipices, and through narrow defiles. Avoiding the main roads, they sought to catch their enemies by surprise. So far, they had encountered no major force. But on this night in the Dora Valley, Arnaud knew that on the morrow they would be forced to do battle for the Lord. Over 3,000 Savoyard troops held the high ground, blocking the Waldense path of advance. Only one bridge spanned the torrential river, and that bridge must be crossed. Though they were outnumbered over 3 to 1, Henri Arnaud sought to give courage to his men from Psalm 74. “O God, how long shall the adversary reproach? shall the enemy blaspheme thy name for ever? Why withdrawest thou thy hand, even thy right hand? pluck it out of thy bosom.” As the morning sun painted the snowy Alpine peaks with gold, the Waldense warriors put their trust in Jehovah and committed themselves to the battle. The resulting battle was a dramatic display of the power of God to defend His people. At the climax of the battle, the Savoyard troops had surrounded the Waldenses, and the Waldenses were taking fire from two sides. At this point, someone shouted out, “The bridge is carried.” No one knows who gave this cry of triumph. At this point, the bridge was still firmly in the hands of the enemy. Some speculated that it could have been a heavenly voice who gave the cry to cheer the hearts of the Waldense warriors. At the news, a great shout went forth from 800 manly voices. They rushed for the bridge and carried it instantly. In the confusion, the Savoyards became intermingled with Waldense warriors. Some began to cut down one another. The battle raged for two long hours. At the end of the slaughter, only 15 Waldense soldiers were killed and 12 wounded. Over 600 Savoyards had been slain, and the rest were scattered in confusion. Captain Henri Arnaud led his men to the top of the next mountain, Mount Sci, from whose heights they could look down into their own valleys. The first town that was recaptured was the village of Prali. 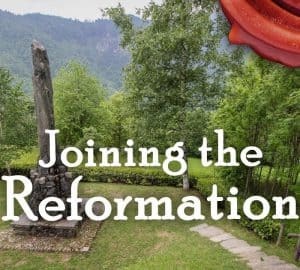 Arnaud led his victorious men into the church where they destroyed graven images, overthrew idolatrous altars, and removed the Roman tapestries. Arnaud’s men then made the ancient church resound with the voice of psalm as the warriors sang Psalm 74 together. God had indeed pled his cause and given rest to His children. In a few short weeks, the mighty men of Henri Arnaud had driven the enemy from the Waldense valleys, purified the churches, and restored true worship. Soon, wives and children were able to safely return and inhabit the Valleys of the Piedmont again. Foreign courts heard of the exploits of Henri Arnaud, and numerous offers of command reached him. For a time, Arnaud was appointed a commander in the army of William III, and Arnaud’s confident leadership led the Protestant forces to an important victory at Blenheim. But after the peace of the Protestant people was assured, Arnaud turned down lucrative and important military posts to return to his own people. He lived the last portion of his life in a quiet village, serving his people as their pastor.